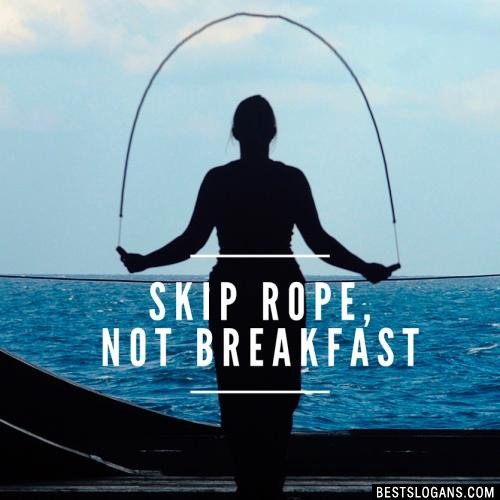 Amazing list of catchy healthy breakfast slogans, taglines & sayings to start the day! Award winning & famous breakfast quotes included. Breakfast is said to be the 'most important meal of the day.' Here are a few facts about breakfast that you may not of known. Research shows that children who eat breakfast have healthier weights than children who skip breakfast and also perform better on memory tests. 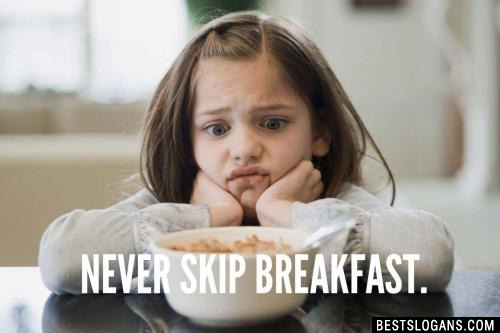 Of women who skip breakfast, 29% miss it because they are too busy getting ready. Many people underestimate the value of breakfast. They may only have a glass of juice or a cup of coffee and eat nothing at all. However, research has shown that this type of routine is not the best habit to get into. Eating a substantial meal within the first few hours of waking up is much healthier for you and your child. Imagine you are a car. After a long night of sleeping, your fuel tank is empty. Breakfast is the fuel that gets you going so you can hit the road. You need to provide enough new energy for your body to get started and to keep you functioning until lunch. Breakfast helps improve mental performance and concentration during morning activities. Children who skip breakfast will be more sluggish, less attentive, and have less energy to carry out their morning tasks. 1 You can't have cookies for breakfast, but you can have Cookie Crisp! 3 Kid Tested, Mother Approved. 4 If you want breakfast in bed, sleep in the kitchen! 6 Eat breakfast. Be great. 7 Sleep is a time machine to breakfast! 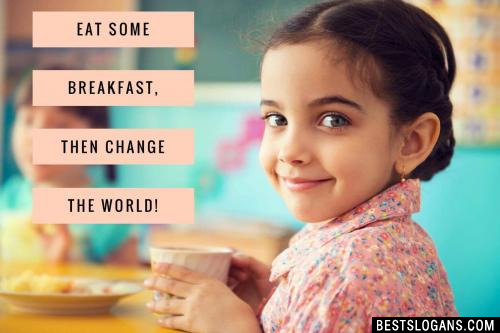 Eat some breakfast, then change the world! 9 A meal without wine is called breakfast. 10 Eat breakfast like a king. 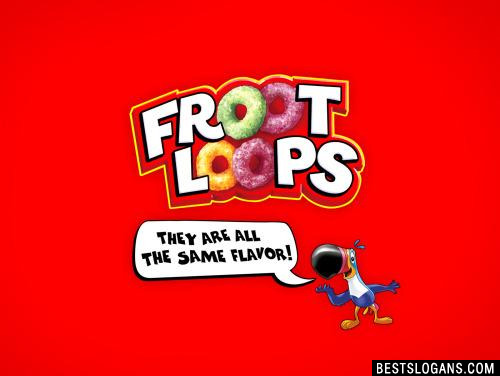 Froot Loops: They are all the same flavor! 13 Brunch is always a good idea. 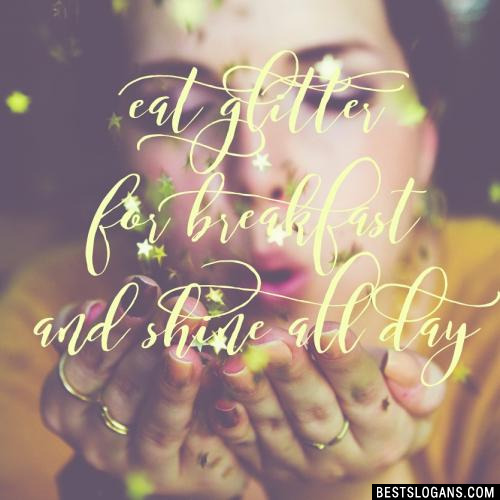 14 Have a diamond for breakfast and sparkle all day. 15 Happiness is a pancake breakfast. 16 Healthy breakfast, healthy life. 17 Life is short, eat cookies for breakfast. 18 Be a fruit loop in a world of cheerios. 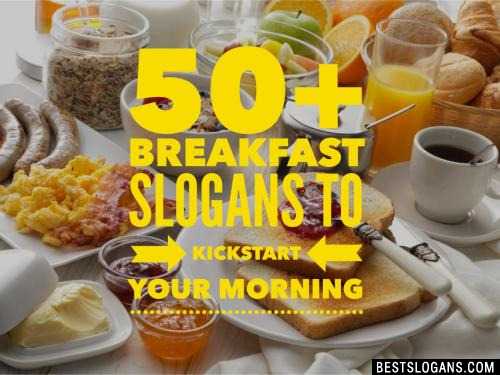 Can you think of a good Breakfast Slogans we're missing? Or come up with a clever one of your own. Please share below.